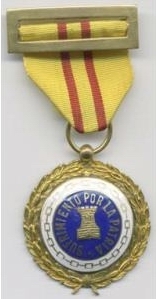 This spanish medal was destinated to the reward the wounded. 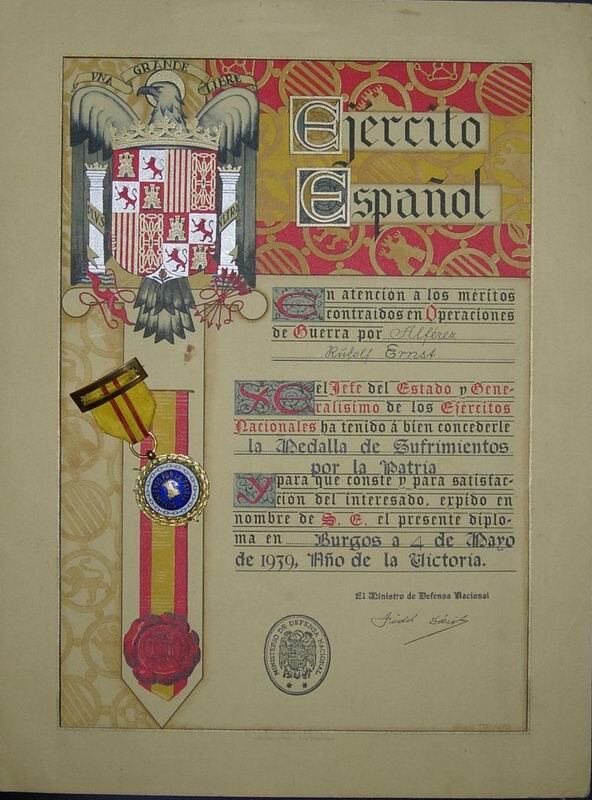 A special ribbon was instituted for the foreigners to be awarded to the volunteers who fought with Franco troops. Two variants exist, that in my opinion correspond to the ranks. the gold enameled one for the officers, the silver one for the other ranks. 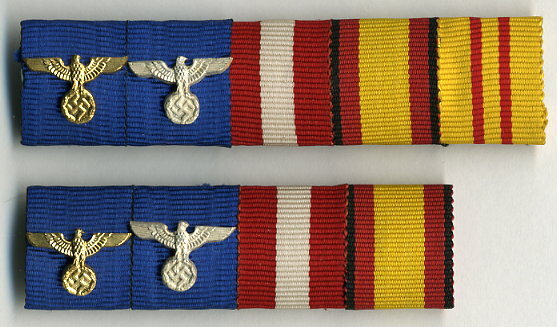 the ribbon is yellow with two vertical thin red stripes. Some sources state that 183 german wound badges were awarded for the LC soldiers, that means that around the same number received the spanish medal. 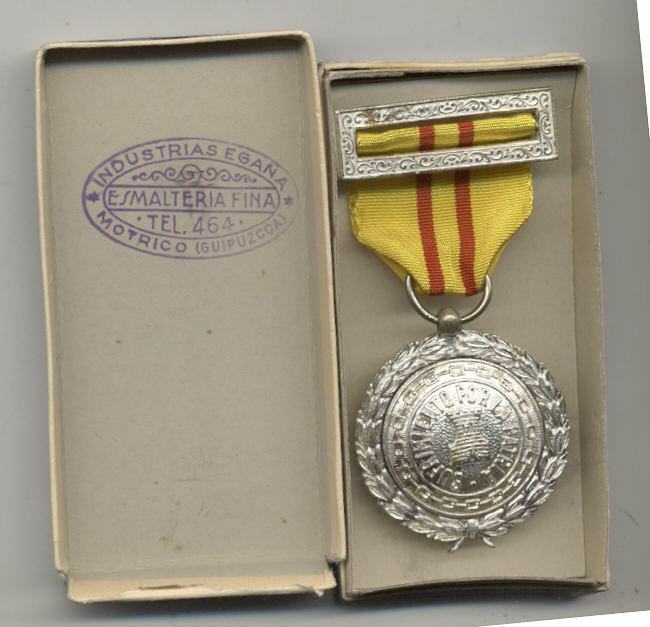 This medal has also been awarded to the soldiers who died in Spain (around 300). Here is the medal which I think was attributed to NCO's and Privates in the original box. 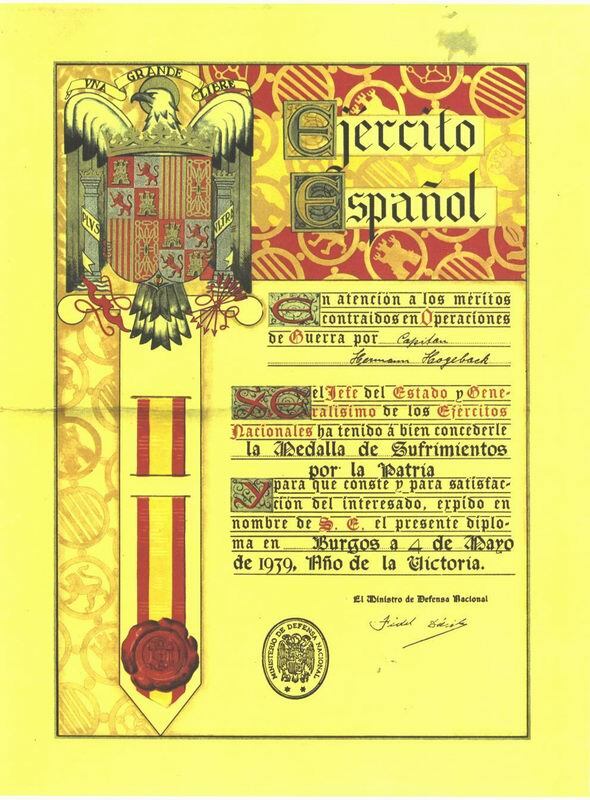 A document in the pure spanish tradition was sent to the family together with the other spanish medal and Spanish cross documents. 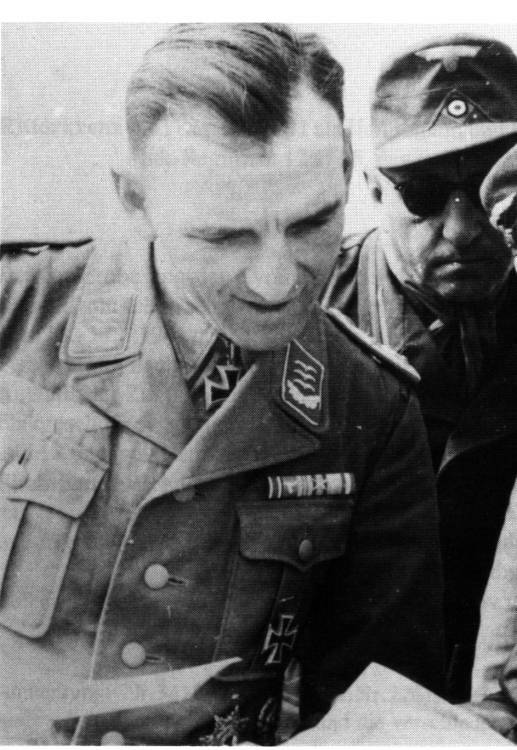 Walter FROMM & Hermann HOGEBACK wearing the medal ribbon on their ribbon bar. Sometimes crossed swords are pined on the ribbon to make more "fighter". the huge and strange Wehrmacht long service eagles are the product of an as yet unidentified company. 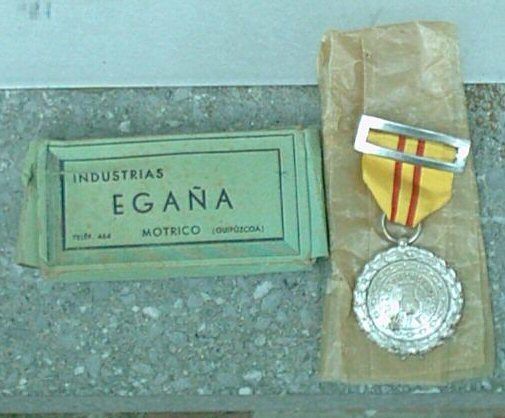 The additional third Spanish award seems to suggest that each one was processed individually, and a German recipient either did not get "everything" all at once-- or perhaps this unknown NCO or officer had to apply for the Wound Medal and it came through later than the other two. ??? From my French-and-a-dictionary reading of the Spanish regulations in Spanish (? ! ), the Wound Medal could also be bestowed for non-combat injuries that were not the injured person's own fault. Falling out of a truck in the dark and breaking a leg would have counted, but NOT shooting oneself through the foot! Ineptness, yes-- negligence, no! Did you buy these bar to "Nordwin" on Militariaweb ? Because I bought him a ribbon bar, the very same as your second one. He is selling several one from LC which bother me. Well! That is more ribbon bars from 1936-39 than I have seen in 30 years! The problem is that I find the combinations unlogical . Rick, do you think all these ribons original ? I am willing to adit some doubt, if you think he is making these out of old parts. That is always the problem with parts bars made up completely of original parts. I do not see these all over, which is a good sign usually, because fakes must exist in large numbers to make bad people any money by selling them. the reverse of the long one looks like "Nordwind" ones. 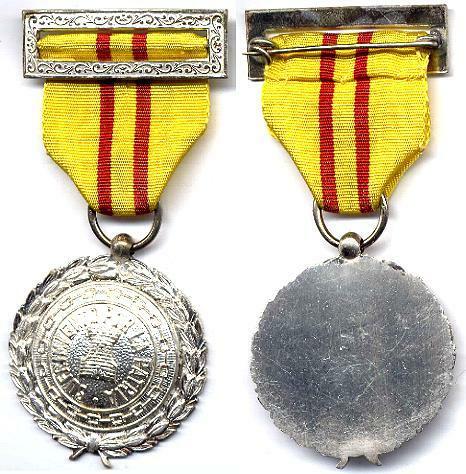 A medal bar of the LC has the LW four years service, the Chekz entry medal, Medalla de la Campa?a 1936-1939, Cruz roja del m?rito militar, Sufrimiento por la patria. It belonged to Obelt SChudziak, he was and observer in the Seenoflugkdo.3 hydro unit rescuing pilot and crews shot down in the Channel during battle of Britain. 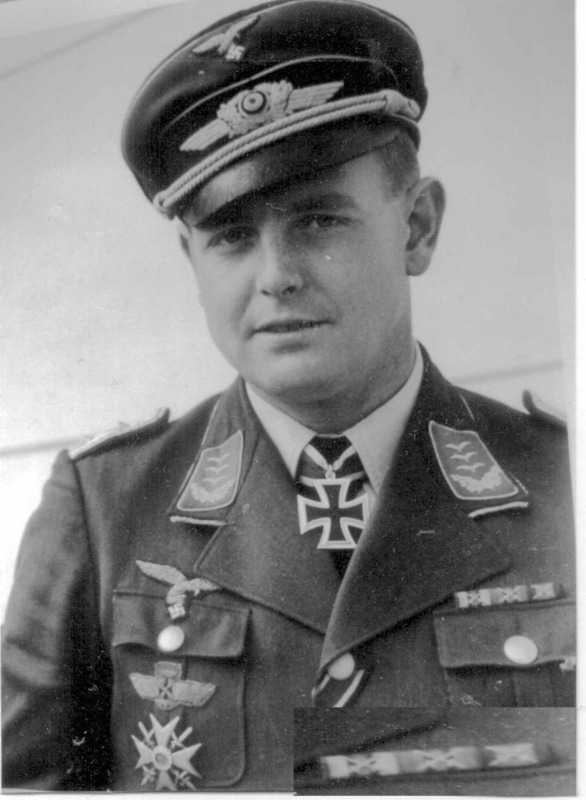 On 20 July 1940 he was attacked by the Hurrican of Sgt Robinson, of the famous RAF Squadron 111 (triple one), and so Schudziak was shot down exactly at 15:20h, being Schudziak MIA with three NCO of his crew and one NCO was rescued later. He served at the Spanish Civil war at the Hydors base in Mallorca, and his plane in Spain was a Heinkel He-59 , exactly the D-AROO. We are talking about a medal that was unknown three years ago! In 2002 my friend Francisco V. asked me about a strange medal that was for sale at Weitze's. 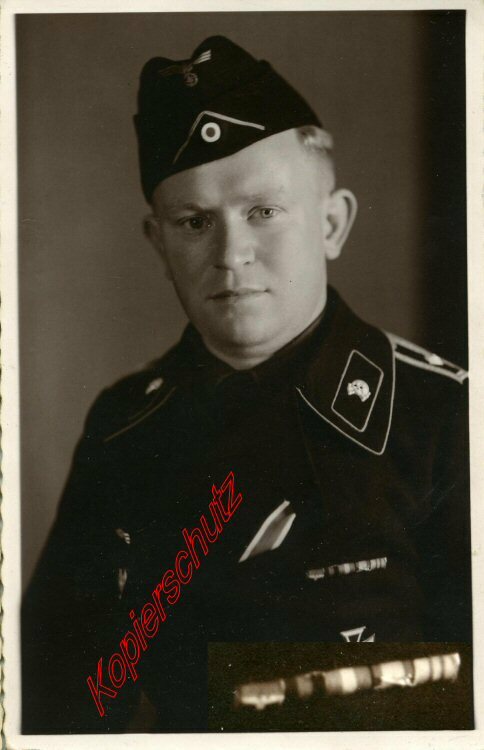 Finally Bill Stump bought that medal and posts started to cross in Wehrmacht-awards and Germanuniforms forum. I am sure you never saw that medal before. Hello Panzerpionier, and welcome to the forum . Are you talking about the silver medal ? Indeed , I saw it the first time few years ago on WAF. But I was absolutly not interested by it before, thus I can't say if it is new on the market or not. Do you mean this medal a new created copy ? Concerning the enameled one, it was for sure awarded to the germans in this configuration. Here is a newspaper dated from 10 (?) 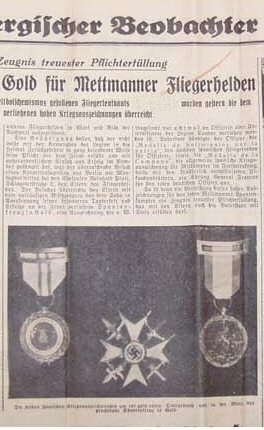 juli 1939, showing the medal awarded to an officer who died in Spain. I never said Medals for Sufferings were not awarded to LC members. I believe that both enameled and enlisted men medals were actually awarded. 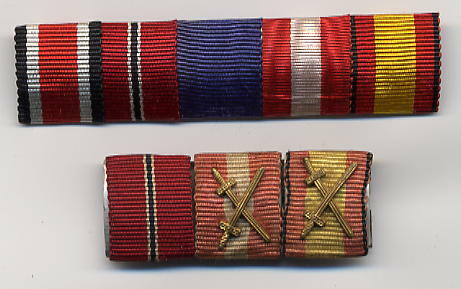 I meant that probably those ribbon bars (I would say Schudziak's medal bar too) are modern assemblies with original parts. I have the same feeling with the ribbon bars I shown in this thread. they seems new, with some illogical construction. Being the owner of Schudziak'medal bar, knowing who owns his original tunic (friend of yours), may I ask you what make your opinion on this medal bar being a modern assembly. You may be totally right, but only to understand the logic, I would like to know why this bar is a modern assembly, did you have it in hand, do you know things that I don't know about it? Please note that I wrote that I believe it is probably a modern assembly with original parts. That is my gut feeling. If I was absolutely sure, I would have used different words. 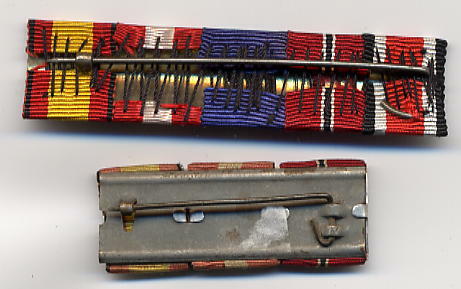 I have not handled the medal bar and I am not an expert in WWII era construction techniques, but I think Medals for Suffering awarded to Germans were simply too scarce and now they seem to be very common. For that reason I don't like German ribbons with that medal. But as I wrote before, it is just a gut feeling and not a product of logic. If you are happy with your medal, then is your opinion against my gut feeling. I can not find any additional evidence against your medal bar. 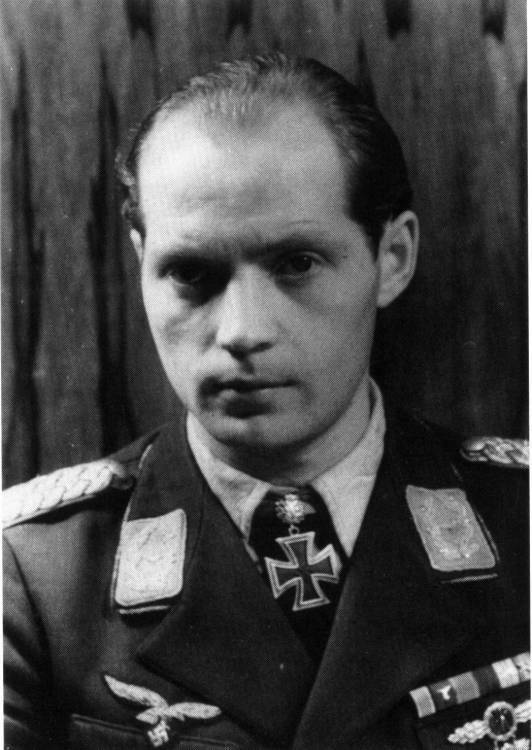 Here is a pic of Otto BERTRAM. he wear the ribbon for the medal "sufrimientos por la patria". 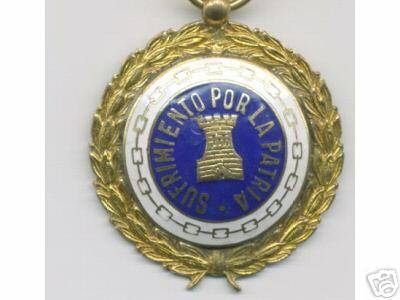 Here is another illustration of the ribbons bars showing the medal "Sufrimientos por la patria". Not so many guy were wounded among the PZ Gruppe Drohne. May be this one can be identified.